Des Raj & Sons, Patiala. THIS book is not only a manual on teaching of English, it is much more. Like a babu who goes by the rulebook, the teachers ritualistically go by grammatical rules which hardly sustain the interest of learners. The author avers that in order to make the teaching of English interesting, the concepts of grammatical rules be enjoined upon first. The precedence of concept over the given rule is the central concern of the author. Having taught English for 35 years at schools in rural, semi-urban and urban areas, the author is eminently suited to write about the subject. The author is touched over the plight of English teaching in rural schools, which badly lack infrastructure and well-trained, dedicated teachers. The methodology of English teaching given by the author is so simple and clear that in many cases, the mature ones feel enlightened. The chapter "The Concept of Tenses in English" describes that English language has three main time divisions, i.e., past, present and future. While learning English in the beginning, the student is supposed to know today, yesterday, tomorrow, day before yesterday and day after tomorrow, etc. The primary duty of the teacher is to make the learner realise the "Aspect of General Time". Universal or eternal truths have the least time as they include the present past and future, like, "man is mortal". Then comes the "Aspect of Action". Human beings all over the world are busy doing one thing or the other. Simple tenses are used to express such an action completed in the past, present or future. The technique of tense formation based on the concept of time and action behind has been explained in a lucid and logical manner, which the learner receptively consumes. In the historical process of human development, new trends, movements, thoughts and modes of thinking and acting are sure to merge with every passing day. Language is a communicative skill and as such it never comes to a halt, and its development goes on. Thus, it is the dynamic nature of a living language that gives rise to new words arising from the social, economic, political, philosophical and moral needs of society as a whole. The author has demonstrated by a sample (table of new words) as to how a learner can gain proficiency in the acquisition of new words. The role of mother tongue in the process of acquiring a foreign language, the teachers feel, is in many cases a retarding one. It is very true for the children of rural areas as they fail to exercise what they have learnt in the classroom, because at home, it is the mother tongue which is predominantly used. Obviously, the knowledge of foreign language freshly gained fades down. However, it is not so in educated families in urban areas, where parents and other members of the family try to converse with the child in English only. There is hardly any similarity between learning a native language and a language of foreign origin. The former is spontaneous and is suo moto imbibed by the child structurally he/ she is living in. For learning a foreign language, one needs a set of rules that are different. The author has really done a good job in making the grammatical rules, leveraging interesting. 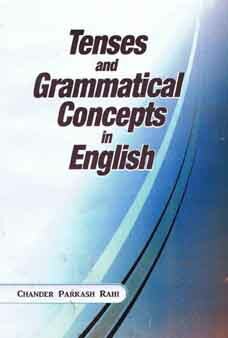 The saying "Ceasor non supra grammatico" (it is not the Ceasor who is superior, the grammarians are) shades pale in the face of methodology brought out in the book, which is a must read, especially for teachers engaged in English teaching and also the parents who like to give time to their wards.